From North Africa and the Arabian Gulf to Southeast Asia, Ooredoo is pushing forward with a group-wide modernization programme to enhance customers’ digital experiences, all in an effort to stay one step ahead of competitors in the global race to deliver 5G services. 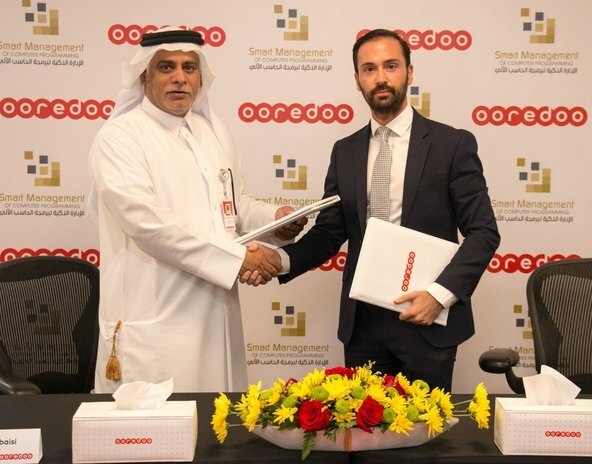 As part of the company’s heavy investment in building world-class networks across its footprint -providing a greater range of opportunities for people to access employment, education, and entertainment wherever they are - Ooredoo is leading the technology scene, achieving world’s firsts on many levels. Ooredoo Group continues to invest heavily in the markets where it operates, implementing network modernization projects across companies. 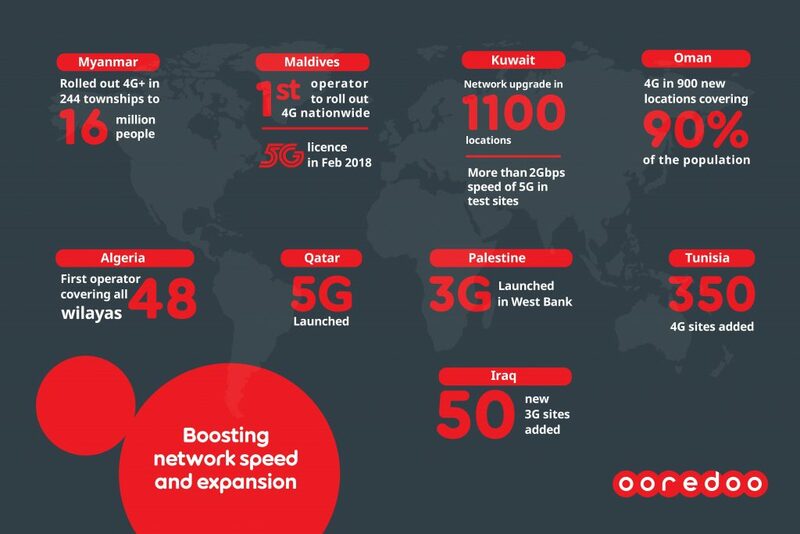 Building on an impressive number of earlier milestones, including the first-in-the-region trials of 5G on Qatar National Day in 2016, the completion of 10 5G-ready base stations in May 2017, and the launch of the 5G Business services trial in partnership with Qatar Airways in November 2017, Ooredoo Qatar was the first operator in the world to have launched a live commercial 5G network in May 2018 - a major technological breakthrough for Ooredoo and the telecommunications industry worldwide. As well, Ooredoo Qatar has reached another world-first milestone, with the delivery of the first commercial 5G home broadband devices. Today, with more than 85 5G network towers on-air around Doha, the company is pushing forward with testing the world’s largest live 5G network. And indeed, most recently Ooredoo Qatar showcased the true power and speed of 5G with Smart City technology that will be available in the future. At the event, Ooredoo has successfully tested a number of technologies in different locations around The Pearl Qatar, including the world’s first Self-Driving 5G connected Aerial Taxi, a 5G Experience Bus and a futuristic 8K VR experience on a modern House Boat. In Kuwait, Ooredoo has launched 5G on a number of test sites, with internet speeds reaching more than 2 Gbps. The launch comes as the company prepares to release the biggest, highly advanced network across Kuwait in 2018. This launch follows the completion of a network upgrade in more than 1,100 locations across Kuwait, aimed at increasing network capacity. Ooredoo Kuwait has also increased the number of sites with updated LTE-A technology to better serve the latest and upcoming models of routers and smartphones. Ooredoo Myanmar successfully rolled out 4G+ across 244 townships, enabling more than 16 million people to access high speed internet services. This, in addition to becoming the first operator in Myanmar to showcase Voice over LTE (VoLTE). Earlier this year, the company completed a 4G Pro network demonstration, showcasing its readiness to bring in 5G. Trials of 5G services are expected to start this year. Carrying on with network modernization projects across Ooredoo companies, Ooredoo Oman has successfully expanded its high-speed 4G network to more than 900 new locations, with Ooredoo’s 4G now covering over 90% of Oman’s population. Ooredoo Algeria has successfully rolled out its 4G network across the country, becoming the first operator ever to cover all 48 provinces (Wilayas). Today, with the largest 4G network in Algeria, Ooredoo enables nearly 50% of the population to access superfast internet and benefit from all the digital opportunities that come with it. In Tunisia, 92% of the population has access to Ooredoo Tunisia’s 4G network, with over 350 additional 4G sites added in 2018. Indosat Ooredoo continues to expand its 4G network and plans significant expansion of its 4G coverage in 2019. To meet the evolving needs of its customers in terms of internet speeds, data usage, latency and better video experience, Ooredoo Maldives was the first operator in Maldives to have rolled out 4G network nationwide and upgraded its transmission network to full IP, enabling everyone on the Ooredoo network to enjoy a great data experience. 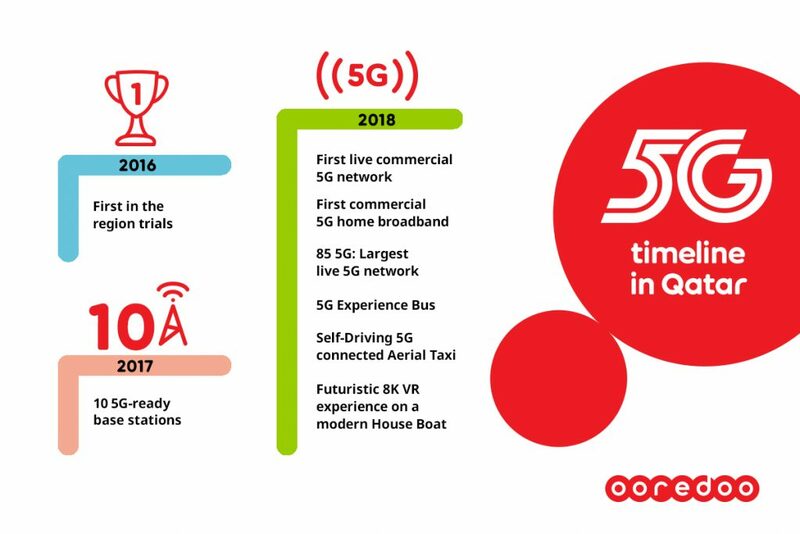 Ooredoo Maldives was also the first Ooredoo company to have been granted a 5G spectrum licence in February 2018 and plans to trial 5G technology in the near future. In Palestine, Ooredoo’s Wataniya Mobile has successfully launched 3G services in West Bank earlier this year and is seeing strong demand on the service. With this launch, Wataniya Mobile’s customers are now enjoying high quality voice calls and internet access, video calls and mobile TV via their smartphones, using the company’s fastest 3G network in the West Bank. Ooredoo’s Asiacell in Iraq is enabling people to enjoy faster internet speeds, as the company continues to expand its 3G coverage nationwide, building more than 50 new 3G sites in new areas of the country with plans to trial 4G services later this year. Also this year, Asiacell successfully restored 200 sites in a numbers of areas and modernised and upgraded more than 300 sites to 3G. Ooredoo is an international communications company operating across the Middle East, North Africa and Southeast Asia. Serving consumers and businesses in 10 countries, Ooredoo delivers the leading data experience through a broad range of content and services via its advanced, data-centric mobile and fixed networks. Ooredoo generated revenues of QAR 33 billion as of 31 December 2017. Its shares are listed on the Qatar Stock Exchange and the Abu Dhabi Securities Exchange.